The following are comments we have received from previous customers. Hi Gordon, Just to say many thanks for providing brilliant entertainment for Sara and Joe's Wedding celebration last Saturday at Guyzance. We all had a great time and enjoyed the whole evening. We have had lots of postive comments about the whole event and your band was certainly a major factor in the evening and cetainly got people dancing from start to finish . Thankyou for backing us in the acoustic set...i think we just about got away with it! Dear Gordon, Band members and Bob the singer! 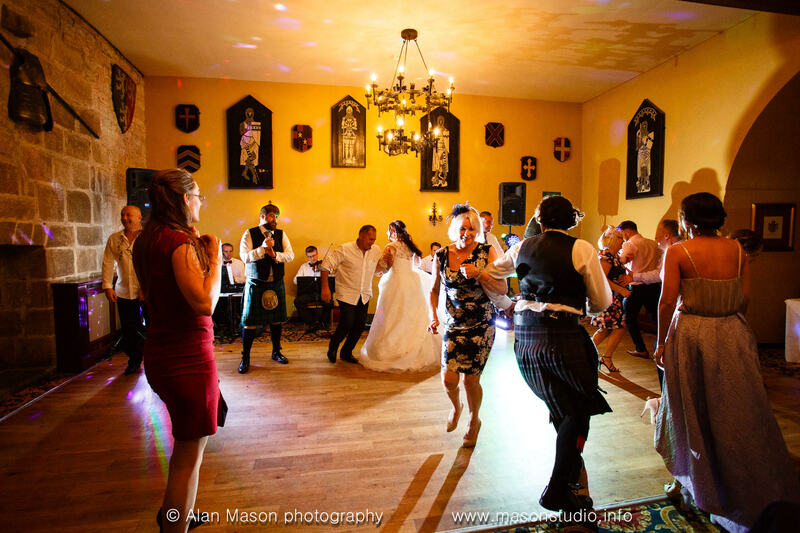 Thank you for providing the music for our Wedding at Eshott Hall on 29/05/11. The string quartet were a wonderful introduction to the ceremony, and played beautifully as Jack sang "Over the Rainbow" and "Wish upon a Star" during the registration. We loved the way you jazzed things up for our exit to "Come fly with Me". Your strings on the lawn during afternoon tea was really lovely and set the mood for the rest of day. Tim and I loved waltzing on the lawn round the croquet hoops. After dinner was fantastic!!! The Jazz Singer was fabulous!!! Everyone was amazed and thoroughly enjoyed his crooning to the swing band. The ceilidh and swing band was a great mix as everyone got up to dance.